Prayer is the Christians ‘direct line’ to God. Through prayer we have the means to communicate directly to God: us to Him and He to us. For many people, prayer seems complicated, but it is simply about talking to and listening to God. C. S. Lewis wrote ‘in prayer we lay before God what is in us, not what ought to be in us.’ Jesus taught his followers to talk to God in the same way that he did – like a child speaks to an adoring father. In prayer we seek to come close to the Creator and Orchestrator of all there is. Through prayer Christians lay before God their deepest feelings, joys and concerns, and lay themselves open to God's directing and changing. Prayer is not simply as a series of requests that God will change the world to how we want it. But, an active way of ‘joining in’ in the working out of God’s purpose for the world. Prayer can involve words, listening, reading, and creativity (and many other pathways). Richard J. Foster says “Prayer is the human response to the perpetual outpouring of love by which God lays siege to every soul." and "Prayer involves transformed passions. In prayer, real prayer, we begin to think God's thoughts after Him: to desire the things He desires, to love the things He loves, to will the things He wills." 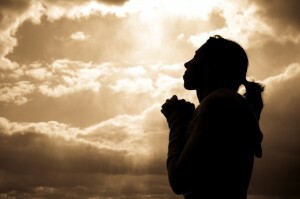 During prayer Christians praise, thank, ask, seek forgiveness, and look for guidance. And we position ourselves in a place of appropriate humility in front of the God who is utterly holy, loving and just. Prayer has to be at the heart of the Christian life - if there is no communication with God there is no relationship! On the subject of prayer we are all beginners: there is always more to learn, experience, and consider. And, all the people I have ever talked to about prayer would say that they do not pray enough! So, if you struggle with prayer - Join the Club! Don't feel Guilty! Just PUSH on through (Pray Until Something Happens)! Below are links to some useful websites about prayer. As a Millennium Project a Labyrinth was built in the year 2000 in the grounds of the former Holy Trinity Church at the Scotch Street/Irish Street junction. This was open to public subscription and contributors names were recorded in a memorial book which is now at St Nicholas' Church. Labyrinths have been in existence for over 4,000 years and can be found in many of the major religious traditions throughout the world. Roman mosaics often showed them as fortified cities, and in mediaeval Europe they symbolised the one true path to Christian salvation. During the Crusades the pilgrimage to the Holy Land was symbolised by the Labyrinth. People sometimes make the erroneous assumption that a Labyrinth and a maze are the same thing, but where a maze has many dead ends and false turns, a Labyrinth has only one path which leads to the centre and then back out again. This path has no dead ends and no false turns. Everyone has their own reason to start a walk, whether it is to focus on a particular problem, or to pray, or simply to find a sense of inner well-being with oneself. A different experience can be gained with each walk and no two people will gain the same benefit. As you move round the paths entering different circuits, both sides of the brain are stimulated in turn, so inducing repetitive states of consciousness. Today Labyrinths are more popular than ever before, and their imagery is used widely in puzzles, films and as an advertsing medium. There has also been a dramatic increase in their use in a spiritual way by Christians. Labyrinths are normally in three basic designs and can have either seven, eleven or twelve circuits. Ours measures 38 feet across and has 11 circuits. It was opened on 31st December 2000. A very famous example is in Chartres Cathedral, France with the same dimensions as the Rose Window. There is an octagonal one at Amiens Cathedral, France. They are usually built with stone, but sand, flour and even string can be used as a temporary measure. Sometimes turf is cut out to the design. Sizes can vary from the size of a stone to up to 40 feet in diameter. Paper was used for a temporary one at Appleby St Laurence's in September 2016.